Crown Publishing Group (NY), 9780770437763, 400pp. But it's not for the reasons we tend to think, as law professor Adam Benforado argues in this eye-opening, galvanizing book. Even if the system operated exactly as it was designed to, we would still end up with wrongful convictions, trampled rights, and unequal treatment. This is because the roots of injustice lie not inside the dark hearts of racist police officers or dishonest prosecutors, but within the minds of each and every one of us. This is difficult to accept. Our nation is founded on the idea that the law is impartial, that legal cases are won or lost on the basis of evidence, careful reasoning and nuanced argument. But they may, in fact, turn on the camera angle of a defendant's taped confession, the number of photos in a mug shot book, or a simple word choice during a cross-examination. 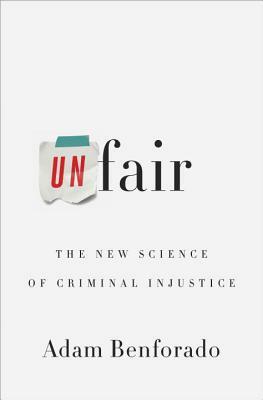 In Unfair, Benforado shines a light on this troubling new field of research, showing, for example, that people with certain facial features receive longer sentences and that judges are far more likely to grant parole first thing in the morning. Weaving together historical examples, scientific studies, and compelling court cases--from the border collie put on trial in Kentucky to the five teenagers who falsely confessed in the Central Park Jogger case--Benforado shows how our judicial processes fail to uphold our values and protect society's weakest members. With clarity and passion, he lays out the scope of the legal system's dysfunction and proposes a wealth of practical reforms that could prevent injustice and help us achieve true fairness and equality before the law. Adam Benforado is an associate professor of law at Drexel University. A graduate of Yale College and Harvard Law School, he served as a federal appellate law clerk and an attorney at Jenner & Block. He has published numerous scholarly articles, and his op-eds and essays have appeared in a variety of publications including the Washington Post, the Philadelphia Inquirer, and Legal Times. He lives in Philadelphia with his wife and daughter.